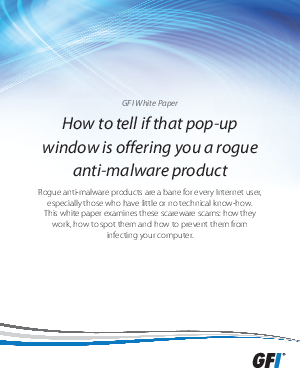 There are hundreds of rogue anti-malware products on the Internet that infect PCs rather than detect malware. Much of the scareware is sophisticated and appears legitimate, including stolen graphics and verbiage from top-brand products. But don't be taken. Learn how these scams look and work and how to prevent your computer from becoming infected.